The Illuminating Pearl Mask is our newest creation, and one of our favorites yet. A self care staple, this mask bring the spa into your home, and leaves you feeling like the dewey goddess you are. What makes this mask so special? The Illuminating Pearl Mask is like a journey back in time and around the world, rich with nurturing ingredients like Colorado mountain wildflower honey and pearl powder, first used by the first (and only) Chinese Empress Wu Zetian during her brief reign between 684 – 705 AD. A calming ingredient for all three Ayurvedic doshas (constitutions) four thousands of years, the turmeric in this mask leaves sensitive skin feeling soothed and relaxed. This treatment certainly elevates the masking experience, even beyond those in our signature line. As with all of our new products, we sent out free samples of this one with every order for a few days. The response was, honestly, astounding. Our community enthusiastically replied, and even loved the samples enough to leave glowing reviews—about their equally glowing skin. These are just a few of our favorite reviews. This is my new favorite mask! From the divine smell, to the pearlescent glow of my skin afterward, I love everything about this mask. I’ve used it 3 times already and I can’t stop touching my face! It leaves my skin smooth, hydrated, and glowy. I got a compliment on my skin the day after I used it on how great my skin looked. Definitely adding this to my favorites. I LOVE this product! As you open the container, your spa experience begins…the aroma alone will instantly take you to your happy place. With a fresh, crisp but sweet smell, I was pleasantly surprised and ready to apply. Just the thought of applying pearly powder to my face, which helps promote younger skin was exciting, but the smooth consistency of the mask made it super easy to apply and felt just like my moisturizer. I have sensitive skin, so knowing that the ingredients were all natural put me at ease that I was nourishing my face with a quality product. After removing the mask, my skin felt wonderful, fresh, smooth and I was glowing! I LOVE Annmarie Gianni and her wonderful skincare line and would definitely recommend as a quality (aromatherapy) face mask! From the moment you open the jar and smell the mask it sets you off on nothing short of a spa experience. The Illuminating Pearl Mask left my skin glowing, feeling fresh and hydrated, so smooth and as soft as my baby son's bum. My skin is now fallin' in love with yet another incredible ASC product. As we transition from fall to winter, my husband and I have resumed our nightly ritual of moisturizing, moisturizing, moisturizing. It’s a constant battle against cracked knuckles and parched cheeks. Dry, winter skin ages me faster than sleepless nights so I try really hard to stay on top of that. I really don’t need any speeding up of my aging process, thank you! I was fortunate enough to receive a sample of the Illuminating Pearl Mask yesterday. I don't often write product reviews but this product is worth the effort! I followed the directions for the “spa experience”: I first used a warm cloth to clean my face and open my pores. Then I smoothed the mask on–it felt so light, smooth, decadent, and wonderful on my skin. Honestly, I just wanted to keep applying it because it felt so nice. The aroma is just what you'd expect from an Annmarie product, not too heavy but wonderfully fragrant. I left the mask on as I relaxed in a hot bath and rinsed it off after about 15 minutes. My face felt so smooth and nourished–I loved it! In my part of the world (Indiana) fall, cold temps, and dry air are arriving so I've noticed my face has been more dry in the past week or so. This product arrived at the perfect time–I can't wait to use it again. Thank you, Annmarie, for another wonderful product! Convinced? Ready to take your self care to the next level? 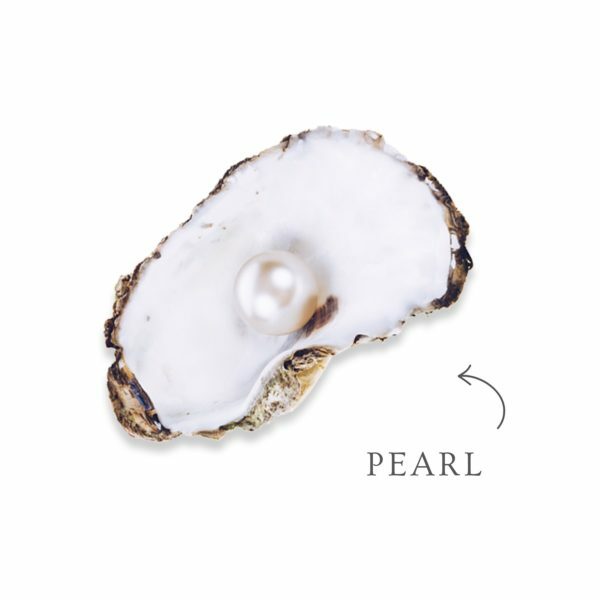 Get your Illuminating Pearl Mask here.